After recording the work starts. 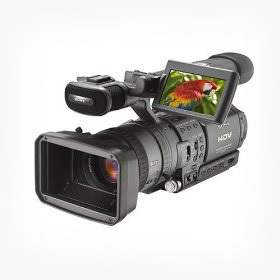 Depending on requirements, there are lots of things that can be done to raw video. We almost always crop a lot, removing unwanted or unnecessary sections. We often color compensate; even if the camera has been correctly white balanced there is room for improvement and sometimes the lighting changes during a recording. Sometimes, for effect, we don't want perfect white balance. We often edit the sound. It is not easy to eliminate a cough or inappropriate chatter but it can be done. Voice over or background music is also possible. Then there is shake. It is time consuming to remove camera shake but sometimes it needs to be done. You cannot always re-record (getting the bride and groom to repeat their vows because someone kicked the tripod is not realistic) so sometimes you have to fix what you have. We are available for editing alone. If you have video you have taken that needs professional improvement, we may be able to help you. The video below was recorded at Silvia's Restaurant in Enfield.